Al-Shabaab has claimed responsibility for the terror attack in Nairobi in which at least 14 people were killed and scores injured. The question the terror attack raises is why the group continues to target Kenya. The Conversation Africa's Moina Spooner and Julius Maina spoke to Brendon Cannon and Martin Plaut. After his death in 2014, al-Shabaab has reportedly fragmented. This may partially explain the atomised group's twin focus of attacks on both Somalia and Kenya. 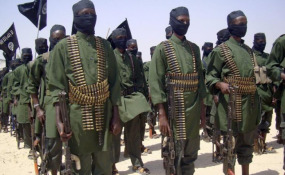 That is, Kenyan fighters trained by and loosely affiliated with al-Shabaab appear to be responsible for at least some of the attacks perpetrated in Kenya, particularly in the country's northeast. What's its motive for attacking Kenya? Brendon Cannon: The group began attacking targets outside Somalia in 2007. Its first attack on Kenyan soil was in 2008. The Kenyan government responded with force. In 2011, to "protect national security", the country's defence forces entered southern Somalia to create a buffer zone between al-Shabaab held territories and Kenya. In the process, the Kenyan forces captured the port of Kismayo and quickly joined troops from the African Union Mission in Somalia in battling al-Shabaab. Al-Shabaab publicly states its attacks are in retaliation to the Kenya Defence Force's incursion in Somalia. It also justifies them for nebulous reasons associated with international jihad. But it's also motivated to attack Kenya because of the benefits vis-à-vis recruitment and fundraising that are a partial byproduct of international press coverage. That is, front page news of the group's attacks in Kenya inadvertently provides an outlet for al-Shabaab to showcase its attacks with few filters and to exploit such media stories in its own propaganda. The results of the deadly carnage often serve as prime recruiting tools in terms of foot soldiers and funding. Martin Plaut: The Kenyan invasion of Somalia in 2011 was undertaken for understandable reasons. But the decision to go ahead was taken against the advice of its international friends - including the US and its neighbour Ethiopia. The Kenyan army has attempted to establish Jubaland, partitioning the regions of Gedo, Lower Juba and Middle Juba from the rest of Somalia. It has met with little success. Additional advantages are that there are a high number of Kenyan-born fighters within the group's ranks that possess local knowledge. This has helped al-Shabaab perform attacks and maintain terror cells in Kenya. An expanding democratic space and high levels of corruption also mean that the group is able to exploit the country's governance weaknesses when it comes to security. All these variables help al-Shabaab plan and execute terrorist acts while fulfilling the group's quest to survive by maintaining relevance. What is your assessment of Kenya's immediate response? The response of Kenyan security forces, particularly the General Service Unit - a paramilitary wing in the National Police Service of Kenya - seem to have been timely and relatively effective. The sad truth is that coordinated attacks - replete with suicide bombers, as well as heavily armed and motivated terrorists against relatively soft targets - are extremely difficult to thwart. No matter how professional and robust the security. Martin Plaut: As Murithi Mutiga, of the International Crisis Group, has pointed out, previous attacks have seen Kenyan reprisals against its Muslim population. The authorities responded with blanket arrests of Muslims and indiscriminate crackdowns aimed at ethnic Somalis. This inflamed tensions and made matters worse. It's vitally important that this mistake isn't repeated. Only by uniting can Kenyans defeat the threat posed by these terrorist attacks. Brendon Cannon: As terrible as this attack is, it's worth noting that major commercial areas and tourist hubs have largely avoided attacks by al-Shabaab since 2013 -- until yesterday. This is all the more surprising because elements within al-Shabaab remain motivated and possess the capabilities to continue attacking Kenya. I question the rationale of some politicians who advocate the Kenyan Defence Force's withdrawal from Somalia as a way for Kenya to avoid attacks. After all, al-Shabaab attacked Kenya multiple times prior to 2011 when the KDF entered Somalia. This is a Herculean task and one that Kenya's government and security professionals, given the nature and type of threat, should be commended for doing quite well since 2013. Martin Plaut: Kenyans need to be patient and tolerant - to build links between their communities and to face the threat together. At the same time there needs to be a serious reassessment of Kenya's role inside Somalia. There is little indication that al-Shabaab can be defeated by outside powers, even if it can be weakened. The Somali government has failed repeatedly, most recently in preventing Mukhtar Robow, the former spokesman for al-Shabaab, from participating in elections. When the manner in which Robow was treated and was raised by the United Nation's chief representative, Nicholas Haysom, he was declared persona non-grata, effectively expelling him from Somalia.